EVERY OPPORTUNITY HIGHWAY HAS BLIND CURVES . . .
CHEMARK CAN HELP YOU STRAIGHTEN THEM OUT. • Developing a practical strategy and path that works and can achieve your goals. • Designing Talent, Technology, and Business Initiatives to grow and secure your future. • Helping you take advantage of Meaningful, focused Market, Competitor, and Technology Information. 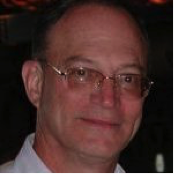 Jim has a PhD in Organic Chemistry, an MBA in Management, and over 35 years of hands-on business management experience, from R&D to Global Sales. Jim knows personally the responsibility of P&L and can use his background to help you tailor a plan that optimizes your people’s performance, your business opportunities and ensures that your investments of capital, and resources are used effectively. He has worked here and abroad in wide array of chemicals and derived materials markets including: Coatings, Adhesives, Sealants, Colorants, Polymers, Pharmaceutical Intermediates, Regulated products, and Fine Chemicals. Jim has held a wide range of positions, R&D, Product Development, Marketing, Sales, and General Management, bringing practical experience to the whole of the business process. He can provide close advising and programs for Talent Management, Market Analysis, Business Organization and Reorganization, Sales Strategies, New Product Introduction, Long term Business Planning, Project and Portfolio Management, Global and Key Account Management, Enhanced Innovation, Market Entry Strategy, Sales Expansion, Serious Cost Reduction, Effective Safety and Training Regimens, Ethics Training, Regulatory and Intellectual Property Strategies, Competitive Intelligence Studies, Technology Impact Reports.